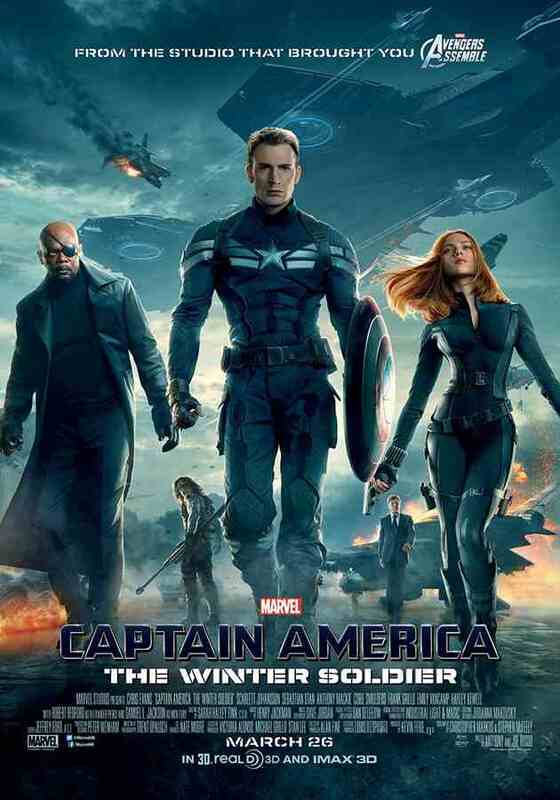 Captain America – Winter Soldier was an entertaining movie. It all began with a run in the park, meeting a paramedic. Playing catch up as Steve Rogers/Capt America (Chris Evans) can jog 33 miles in 13 minutes! Steve has a list of things to do as he‘s been frozen for over 50 years! However, it isn’t long when he is called in for duty. A ship is going off course, it’s owned by his agency SHIELD. Have pirates invaded the ship? He doesn’t need a parachute and can jump from the plane to the ship, using his amazing shield to protect himself. He’s teamed up with agent Natasha Romanoff (Scarlett Johansson). Who wants to find him a date. A battle starts as they engage the enemies holding SHIELD personnel hostage. When Natasha uses the mission to download Intel off the ship’s computer than save hostages, Steve guesses something is up. After a meeting with his boss, Steve meets up with his former sweetheart Peggy, who’s now an old woman. There’s an entire exhibition about Capt America and his old uniform is preserved. He sees pictures of his former best friend Bucky Barnes (Sebastian Stan). He meets up with the paramedic he met at the park, who holds meetings for people to talk about their feelings. Director Fury (Samuel L Jackson) looks into the matter Steve raised and asks for a Project Insight to be delayed, he’s soon targeted for assassination! He has a very cool van packed with some very cool technology! Steve has a neighbour, who he fancies but the interlude is cut short. Director Fury is hiding out at Steve’s apartment! Before they can really talk, the flat is subject to gunfire. Director Fury is hit. He hands Steve a USB, tells him to trust no one. Steve’s neighbour breaks in and reveals she’s a SHEILD agent assigned to protect him. Steve goes after the hit man, who has a metal arm and wears some type of gas mask. After an epic fight, he escapes. The Secretary of the State (Robert Redford) takes over the agency and when Steve won’t tell him what happened, he declares Captain America a threat, forcing him to go on the run and be a fugitive. This movie packs a wallop and a half. Witty dialogue, surprise twist and great CGI. I just love all the actors in their roles and there’s no short of thrills. I love the banter between Steve and Natasha, and they have many good interactions. The fight scenes were astounding. Natasha must have the coolest mobile phone! Moreover, one of the shock twists at the end was mind-blowing. The only things I didn’t like was, it preachy at certain times. In addition, some of the twists do seem to be questioning the SHIELD agency itself. As there is a weekly TV series on called the Agents of SHEILD, casting shadows on the very organisation that powers this show, could cause damage. Surely, the audience have to believe in SHIELD as our saviour that’s why it was created in the first place! The old adage of not befouling your own house springs to mind. I’m giving this 8/10 as a result. Trailer reproduced from Marvel Entertainment. Tagged Avengers, Captain America, CGI, Chris Evans, comic book heroes, drama, fight scenes, girl power, government cover up, Marvel, Samuel L Jackson, Scarlet Johansson, science fiction, Shield. Bookmark the permalink.